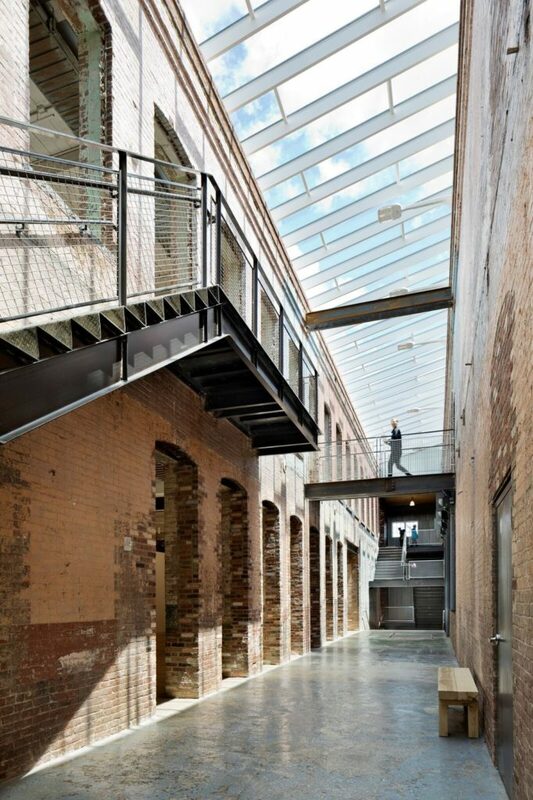 The Mid-Atlantic Association of Museums (MAAM) is excited to announce that the recipient of this year’s Building MuseumsTM Symposium’s Buildy Award is the Massachusetts Museum of Contemporary Art (MASS MoCA) for Building 6, the Robert W. Wilson Building. This award recognizes the museum leadership’s exemplary accomplishment through the three-decade process of completing their master plan for the museum. Joseph Thompson, Founding Director of MASS MoCA, will accept the award on March 1, 2019, at a ceremony at the MAAM’s 14th Building MuseumsTM Symposium in Brooklyn, New York. This is the Mid-Atlantic Association of Museums’ tenth annual Buildy Award presentation. The award recognizes the museum as an institution, its director and staff, and the building/design construction team whose completed museum construction projects demonstrate high achievement in the lessons of the Building Museums™ Symposium: careful, creative planning and diligent implementation, leading to institutional sustainability.